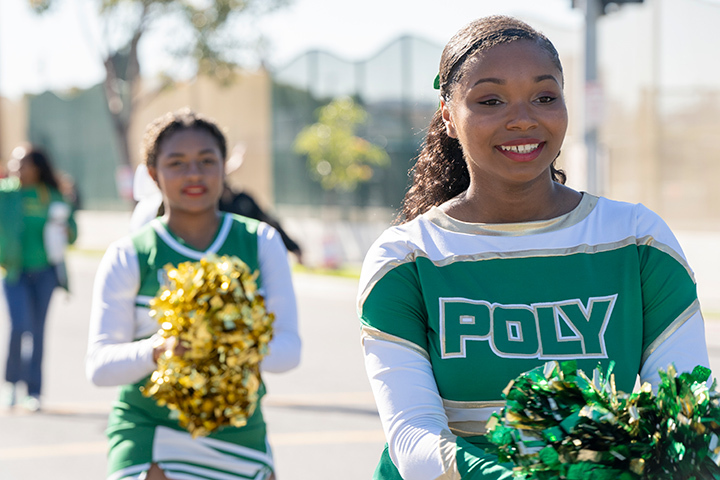 LBUSD News (01/25/19) Remembering Martin Luther King Jr.
Students, staff and school district officials honored the legacy of Martin Luther King Jr. by participating in Long Beach's annual Unity Parade last weekend. Among the parade participants were members of the Long Beach Unified School District Board of Education, teachers, school marching bands, dance and cheer teams, Male and Female Leadership Academies, and many other student groups. ANNUAL PARADE – Student groups and school district officials participated in Long Beach’s Unity Parade.